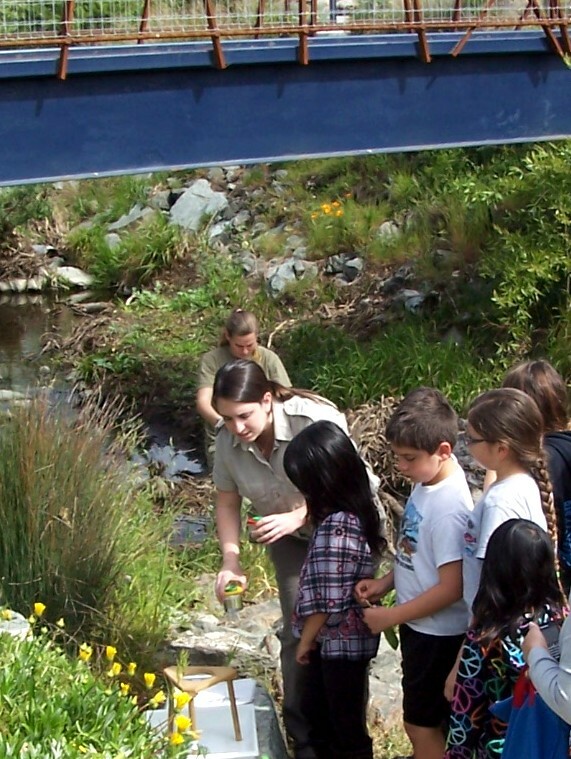 Naturalists and docents from Sulphur Creek Nature Center have begun presenting a series of programs at the amphitheater at the Castro Valley Library. Saturday’s theme was Wonderous Watersheds. 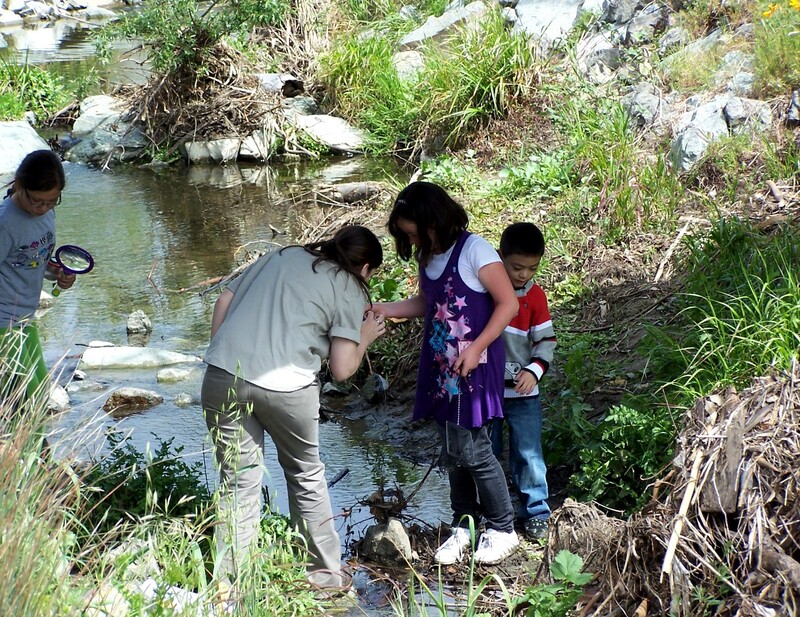 Participants got to scout our beautiful creek for wildlife and test the waters. Sign up now for upcoming programs about our Urban Wilderness and Animal Warnings. Check our Eventkeeper for details. Theresa Jones of Music Together got the place jumping with a preview of the classes she offers through the Hayward Area Recreation Department for preschoolers and those who love them. She always says that “reading and music are friends” and explains to parents how music can improve their child’s reading readiness. She even sang us a lullaby based on a Jim Gill book, “May there always be sunshine”. We hope she will come back to visit us in the fall for more dancing and singing fun! 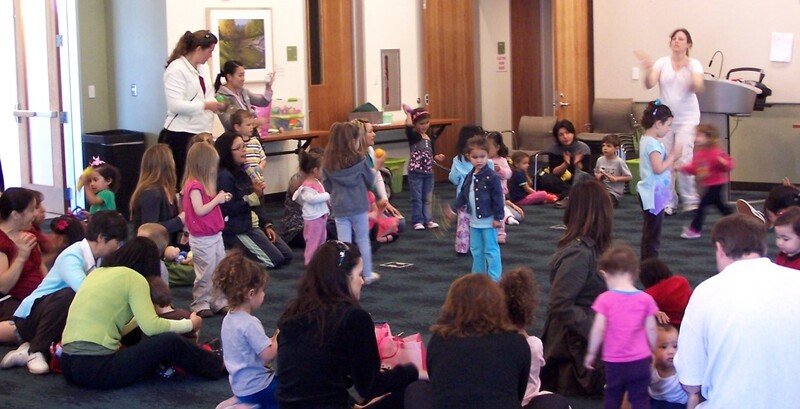 Visit the library on Saturday, April 16th at 1:00pm for DRUMMM!–a musical event for all ages. Miriam Klein Stahl, in collaboration with Pippa Murray Mosaics, has been chosen to create the artwork for Castro Valley Boulevard Streetscape Improvement Project. The Alameda County Arts Commission has voted approval for the proposal, and the artist’s contract will go before the Board of Supervisors in late March. The project will consist of 35 seat blocks and two gateway markers on the Boulevard. The long awaited enhancement should be completed by early next year, finishing a five-year project funded by the County Redevelopment Agency. Miriam Klein Stahl is a Bay Area artist and educator. She teaches drawing, printmaking and photography at Berkeley High School and is currently co-director of the Arts and Humanities Academy at Berkeley High. 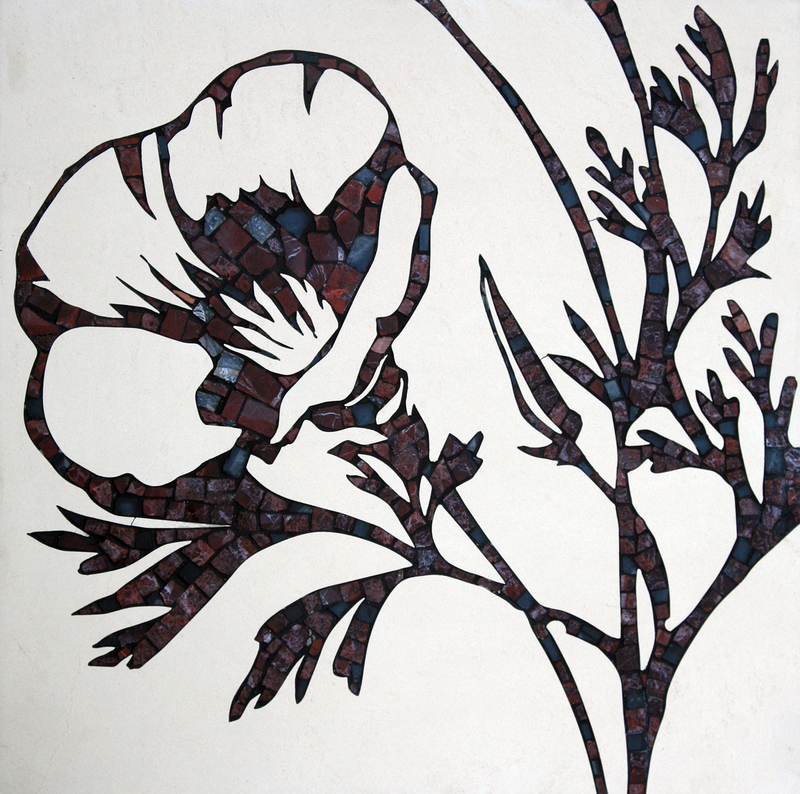 Pippa Murray, whose studio is located in Sausalito, is a mosaic artist who specializes in large scale installations. Images in the proposal include Castro Valley native plants, silhouettes of the surrounding hills and canyons, local landmarks, and community activities. Images will be transformed into marble mosaics within granite slabs. Artist selection was a long and careful process that started last fall. After narrowing the artist pool, the selection panel met in early January to interview the six finalists. The selection committee included seven Castro Valley residents, County staff and arts professionals. The artists presented samples of their proposals and described their plans for the benches and gateway markers. Samples of the proposals were displayed on view at the Bank of the West and the Castro Valley Library where they were seem by more than a thousand community members who had an opportunity to give feedback to the Arts Commission.